Isobel Violet Hunt (1862-1942) was a British author of short stories, novels, memoir and biography. She is most famous for her supernatural fiction. 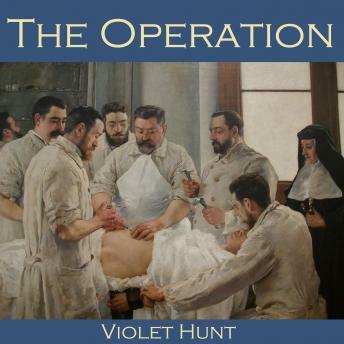 The Operation is a short novella which tells a very odd story. The second wife of the famous dwarf comedy actor, Joseph Mardell, learns that her cook has seen a funeral procession leaving a neighbouring house on Christmas day. Enquiries, however, reveal that nobody died at that house. The place is a private nursing home with one female patient, an actress, who is gravely ill and who recently had on operation which was unsuccessful and needs to be repeated.